Arctander has this to say “Oakmoss products are used extensively in perfumery. They form important parts of the notes in all fougere, chypre, or “moss” perfumes, and they are common ingredients in colognes, crepe de Chines, forest notes, new mown hay, pine fragrances, lavender bouqets, Oriental bases, fancy or modern bases, etc. They can lend body and naturalness, rich pleasant undertones and high fixative value in numerous types of floral fragrances as well. 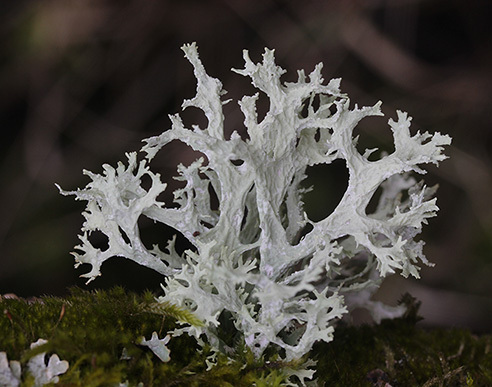 Origin: The lichens which produce this absolute are found on oak and many other trees, mostly around the Mediterranean. Totally amazing. A litte goes a long way. Wintergreen and moss notes. Very natural and unique and most of all strong. Oakmoss absolute is one of my favourite fixatives. From bottle, it begins with intensely green, slightly sweet & sour type smell. There is also top notes of peppers. Interestingly, to my nose, it begin slowly. But within two minutes, it blooms on my skin. – from memory, it lasts 10+ hours on my skin. I made my first Chypre attar with it. If you like Chypre or green perfume, you ought to give it a go.